Are you interested in the opportunity to work for an industry-leading firm that services clients that include SMI and EURO STOXX 50 companies and that gives you the experience and exposure you need to build your career and personal brand? If you want to be part of this game changing, winning team, then go ahead and get in touch with us. 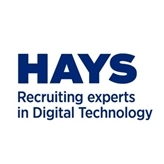 IT specialists hold all the cards: for its customers in industry and the public sector, Hays is looking for motivated employees who like looking at the bigger picture and growing with new challenges. We make sure that you benefit from our many years of experience in IT recruitment and will find you the right role to suit your skills and interests – all completely free of charge to you. Register with us and reap the benefits of job offers that are both interesting and relevant to your skills and experience.